In truth, it was not a vintage men’s competition at this year’s European Championships. The top four after the short programme had all made mistakes in that segment of the event. Fernandez had messed up on his quadruple Salchow and triple Lutz-triple toe loop combination. Sergei Voronov doubled a triple Axel, while Michal Brezina crashed on a triple flip. 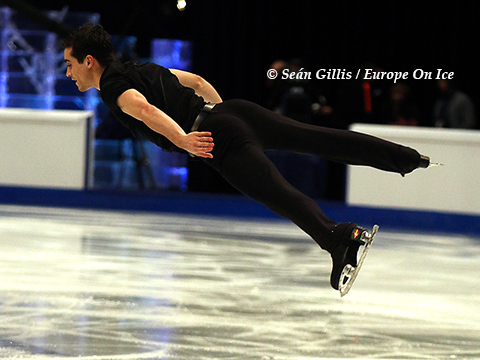 Maxim Kovtun had problems with both of his quad attempts. Nevertheless, Fernandez enjoyed an eight point advantage over the field thanks to the highest technical and components score of the evening and you felt that it was inevitable that he had enough of a cushion to prevail. 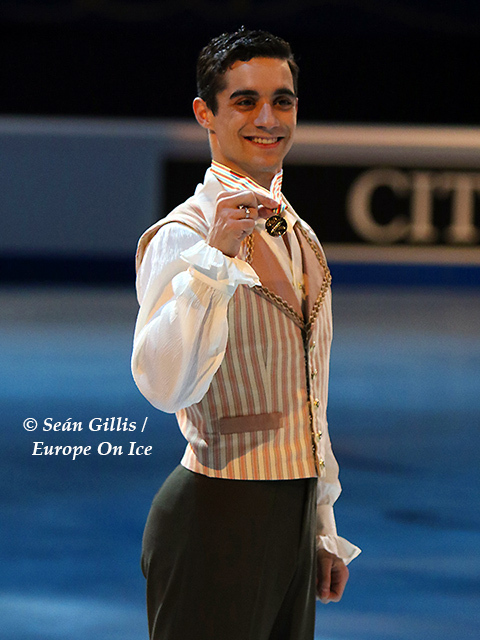 Fernandez was first up to skate in the final group of the free and began his “Barber of Seville” routine in a calm fashion with a perfect quad toe. Even though he tripled a planned quad Salchow-triple toe combination, he then nailed a triple Axel. However, a fall on a second quad Salchow knocked the wind out of his sails and he had to summon on all his mental strength to fight for the rest of the programme. Exhausted though he was by the end, his score of 173.25 for the free and total of 262.49 was still better than any of the three men behind him after the short had ever scored. 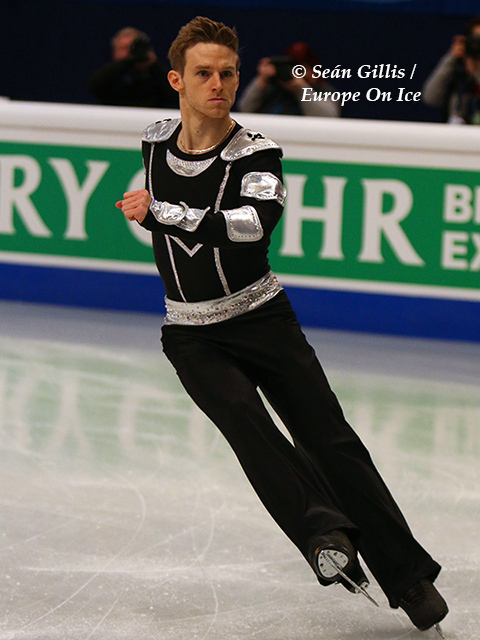 The Spaniard, even at his not so best, is still by far the leading skater in Europe at the moment. It was then down to the rest to fight for the minor medals. Kovtun had a rough start to his “Exogenesis Symphony” by Muse free and his first three jumps, a quad Salchow, a quad toe and a triple Axel, were all flawed. Once he got to the midway point of his routine however he appeared to settle and delivered a solid performance in the end that included a second triple Axel and four other triples. His free score of 157.47 and total of 235.68 propelled him from fourth after the short to silver overall giving the Russian champion his first ISU Championship medal. 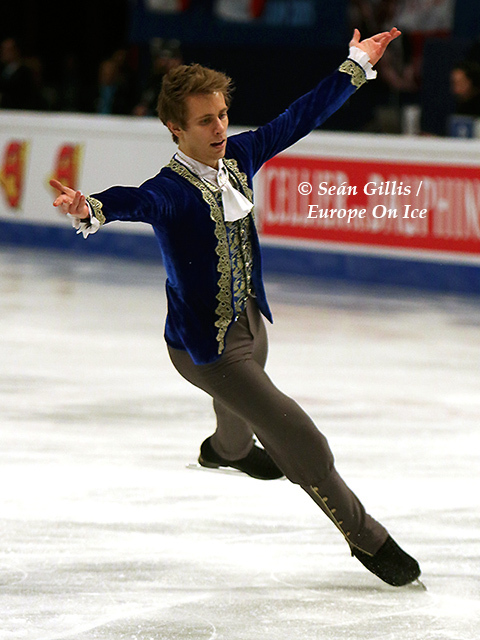 Voronov had the opposite experience to his compatriot in that he commenced his free reasonably well (bobble on the quad toe-triple toe combination aside), but struggled with the second half of his programme. He hung on to third in the free with a score of 151.99 and also wound up third overall on 233.05. Voronov had won the silver medal in 2014. Brezina was last to skate and he had the worst night of all the leaders with a fall a piece on both of his quad Salchow attempts and other costly errors. He came seventh in the free and fifth in the final rankings. 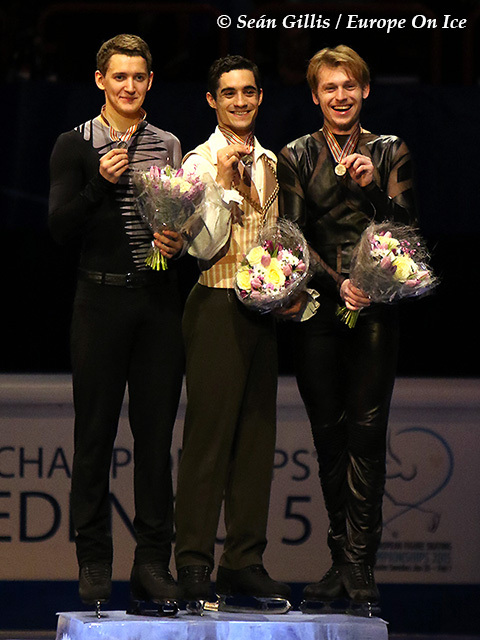 On the other hand, it was a great night for Israel with both Daniel Samohin and Alexei Bychenko making the top ten. In particular, Bychenko had the skate of his life in the free and set a new personal best of 146.59 to come fourth with a total of 220.22 giving him and his country their best ever placing in the men’s event at the European Championships. With Samohin earning 10th place, the Israelis narrowly missed out on achieving three spots for next year’s Europeans. 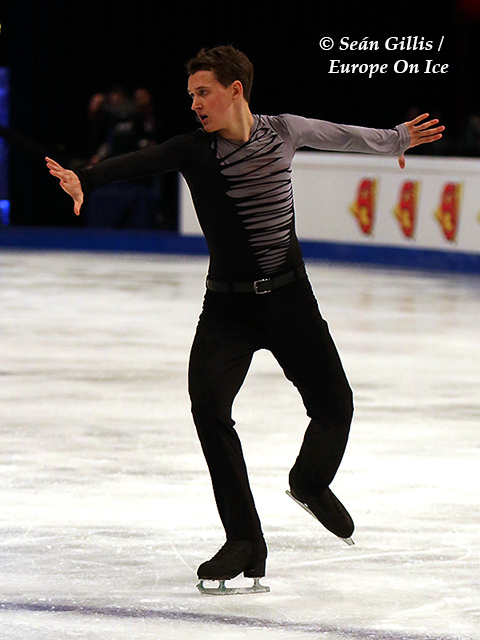 Phillip Harris had been the first British man to advance to the free skating since 2009 and had found himself in the third warm-up group after a very decent short programme put him in twelfth. However, on the third element in his free, a triple Axel, he fell awkwardly and landed on his right elbow. He stopped for a few seconds and then with the encouragement of the audience he continued on visibly in pain. He fell again on a double Axel towards the end of the routine, but received some of the warmest appreciation of the night for showing such guts and determination.